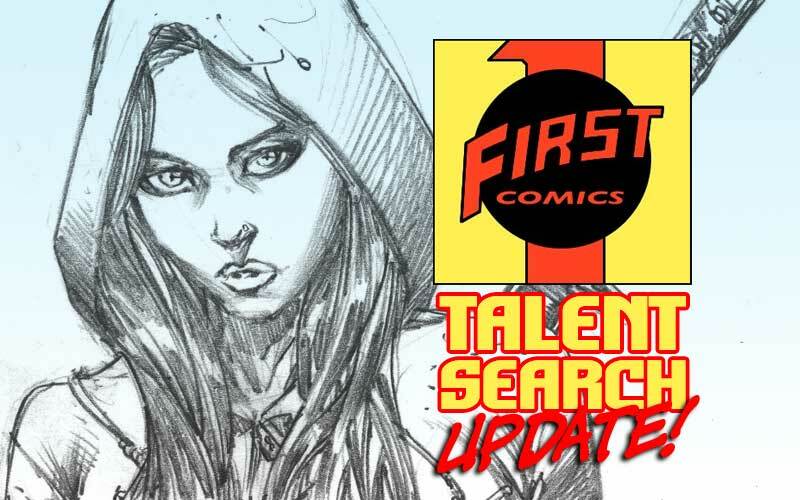 First Comics New Talent Search! + 12/11 UPDATE: To all interested parties. We have received several emails and have heard all of your concerns regarding the exclusions clause of previously published artists. We are willing to look at those artists that have been published once previously or those that have done one limited series previously. This pertains to pencilers, inkers and colorist. If you have been published once or were involved in one limited series with the companies we had originally excluded, you may now partake in our contest ending January 1. This change has been implemented in the spirit of fairness and goodwill for all of those that enjoy comics. First Comics would like to introduce our “Search for Talent” contest. 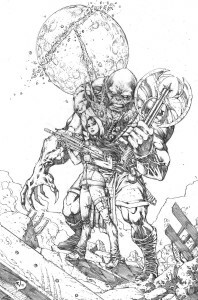 1 First Comics is in the process of creating a fantastic new comic book set for release in 2014. However, something is missing from this book–YOU! We are in need of three talented individuals to join our team to get this book finished. 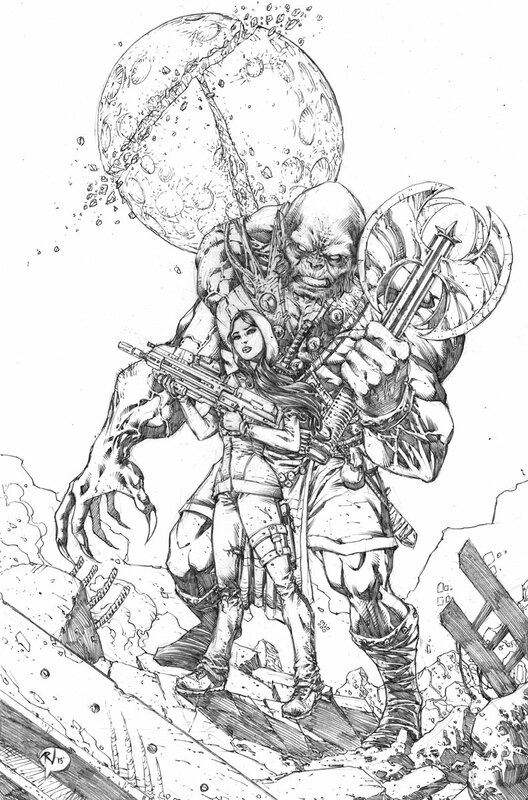 We are searching for a penciler, inker and a colorist. The main character of the comic has already been created and we want you to draw the coolest pin up piece you can using our character. We will pick from the top six mind-blowing submissions. Once these six are chosen, a three page script will be offered in order to judge your story telling ability and sequential work. From those six, one will be chosen. The top candidate will be offered the opportunity to work on this new book and become part of the 1 First Comics family. Do you have what it takes? If so, we can’t wait to see what you turn in. This is a great opportunity for an unknown to stand up and be noticed. We are looking for those that have not broken into comics. Those that have been published by DC, Marvel, Dark Horse, IDW, Image, Aspen, Valiant, Dynamite or Boom! need not apply (you’ve already made it). All entries should be submitted by email and/or posted in the First Comics Contest forum area (see rules for links). 1. You must like the First Comics page on Facebook to officially enter the contest. 2. Submit your art by either posting in the special First Comics Forum area on Digital Webbing, located by clicking this LINK. Please note, you will need a Digital Webbing Forum account to do this. You will receive an email asking for proof of identity, a simple return email pointing us to your Facebook page will do the trick. 3. An alternative method is to send your submission directly to First Comics using this EMAIL address. 4. This is Sydney. She is a 17 year old Caucasian girl with black hair that attends Balboa H. S. in San Francisco. She has recently discovered that she belongs to an order of female assassins like her mother before her. 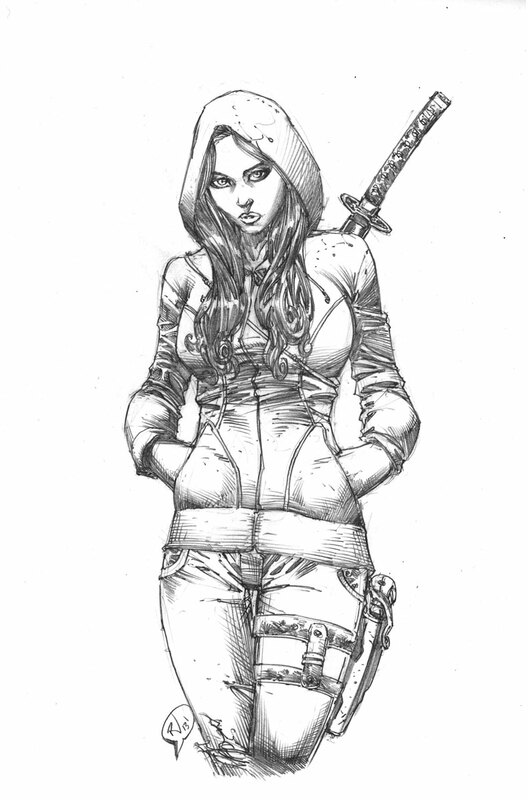 There is a catch, she’s not your typical everyday assassin, but rather–she’s a specialist. She specializes in dispatching werewolves, vampires and all of the other vile creatures of the nether world who would bring mankind to the edge of existence. 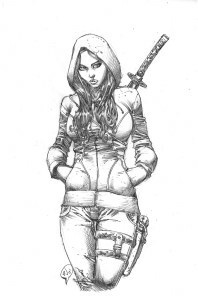 She is a direct descendant of the the most famous and vicious assassin that the world has ever known and has been compelled to continue in the family tradition. She must endure the brutality of combat to master her craft so that she may one day rise to become who she is. Your mission: To render her as she wages battle with a creature of the night. The only thing that matters is that you use the character reference that has been provided-no one else. You know what she looks like; this is what we want to see. How would you render her in battle? We want the most dynamic, outrageous, thought provoking depiction of battle with her at the center of it all. Do you have what it takes? If so, lets see! 5. If you’ve already been published by DC, Marvel, Dark Horse, IDW, Image, Aspen, Valiant, Dynamite or Boom!, this contest is not for you. First Comics is only looking for new talent. If you have self-published your own comics, you are still eligible and can enter. Good luck and hope to see you soon! will be announced the result of selected artists? if so … when? wait, you got me confused, the final deadline is December 31 at midnight or January 1rst at midnight, please confirm??? I have a question regarding the time limit, is 1st of January entry still valid? If so which time zone is considered to this contest? I have a response to this same question in the Digital Webbing Forum saying it’s until 1st of January. This answer means a 1st January entry is not valid. Which contradicts your answer, Orlando. Can you confirm when is it due? Do you want Sydney to be in one-on-one combat or is it okay to show her up against multiple enemies?